← ….. Phew ! ….. Tour de France ….. Yorkshire …..
….. are many of my original paintings. 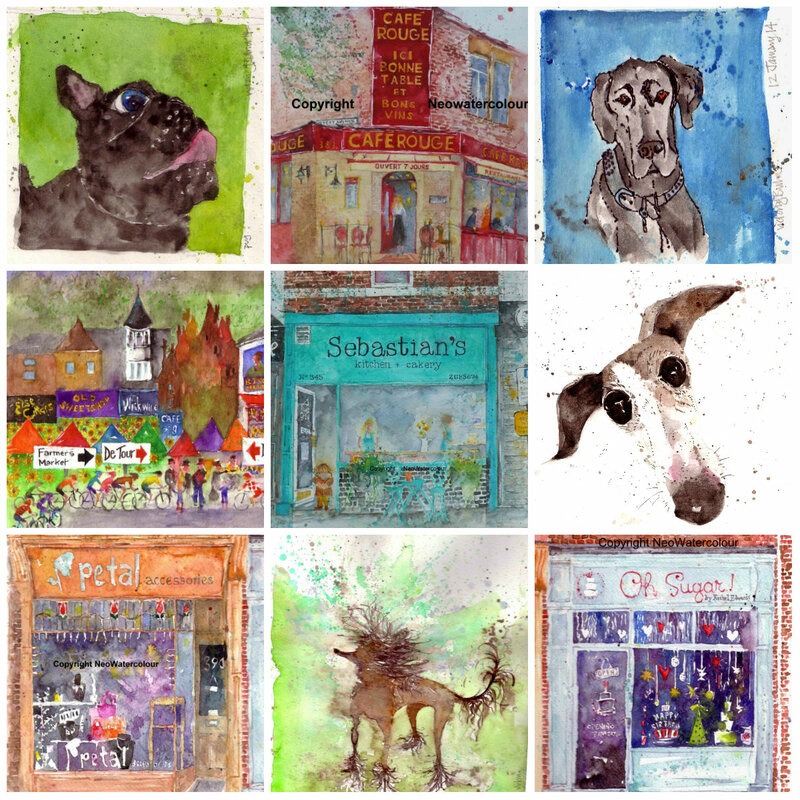 I am heart-broken by the Manchester Dogs Home fire tragedy yesterday, so tomorrow I will have many of my paintings for sale, at half price (and all serious offers considered) with ALL proceeds going to the fund-raising appeal for the Manchester Dogs Home ….. here are some of them ….. This entry was posted in Art, Cafe, Cats, Dogs, Sheffield, Sheffield - watercolours and tagged Dogs Home, Donate, Ecclesall, Fire, Funds, Help, Manchester, Paintings, Sharrow Vale, Sheffield. Bookmark the permalink. 3 Responses to ….. Up For Sale …..
What charming work you do!